Proton therapy is growing in popularity, and a new center under construction will focus on treating the area's youngest cancer patients. WASHINGTON — A new center is under construction at Sibley Memorial Hospital, but a quick glance behind the yellow tape is enough to leave visitors questioning their whereabouts. Towering steel structures and tracks of tubes and magnets — all of which take up as much space as a parking lot — look more like aeronautical equipment than medical. Operating them requires just as much knowledge of physics. “So this is where the actual protons are generated,” said Dr. Matthew Ladra, pointing to a massive machine on a recent tour through what will soon be Sibley’s Johns Hopkins National Proton Therapy Center. 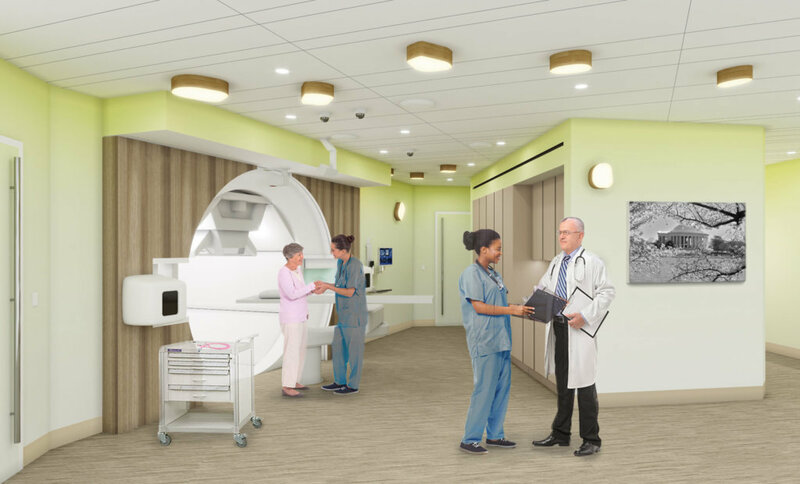 Sibley’s new proton center, set to open next year, will have four treatment rooms, including one dedicated to kids and another reserved for research. It will cost more than $100 million to build and require about $1 million in annual upkeep. Protons have been treating cancer patients since the 1950s, but the therapy only recently took off in clinical use in the early 2000s. 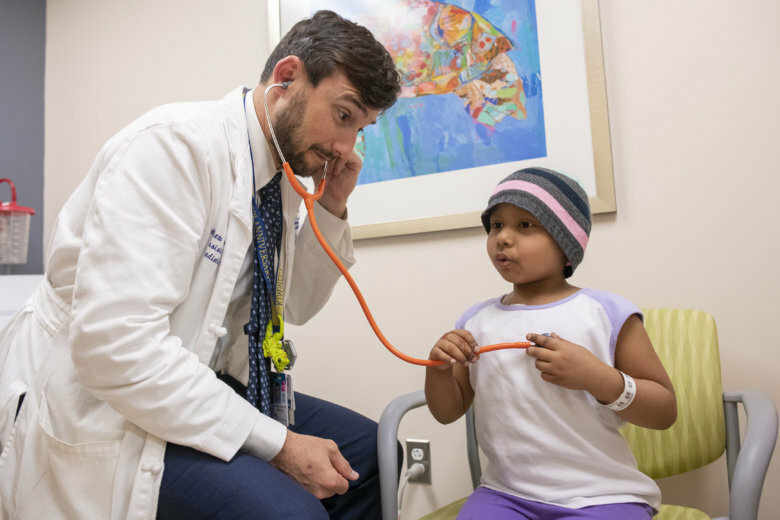 Ladra, a pediatric radiation oncologist at Johns Hopkins/Sibley Memorial Hospital and Children’s National, estimates 80,000 patients have been treated with protons around the globe. Similar to X-ray therapy, proton therapy delivers a dose of radiation to cancerous tumors and zaps the DNA in cancer cells. The difference? Proton therapy is more precise. “X-rays treat the tumor, but about 30 percent of their dose gets passed through the tumor and exits out the other side — something we call exit dose,” Ladra said. Protons stop more abruptly, eliminating the exit dose and sparing the surrounding tissue from unnecessary radiation and the side effects that come with it. “Radiation to a normal brain can cause an increased risk of stroke later on in life; it can cause problems with attention, memory and learning. Also, it can cause problems with hearing and hormone development, so we prefer to avoid [exposing healthy tissue to radiation] when we can,” Ladra said. Even less common are centers with dedicated treatment rooms just for kids. When Sibley’s Johns Hopkins National Proton Therapy Center opens in 2019, it will be one of a few in the world. And having an area just for young ones means there’s more room for books, toys and wall decorations to distract from the realities of their visits. Ladra said proton therapy, which has the same “cure rate” as conventional X-ray therapy, is a compelling choice when it comes to treating kids with certain types of cancer because of the reduced risk for extra radiation to organs, muscles and tissues that are still developing. He has also noticed pediatric patients treated with protons have an easier time getting through treatment. “The kids that used to have nausea, and tiredness and appetite loss from the conventional radiation really didn’t have that with protons. So, I was struck early on by how important that was,” he said. One patient, in particular, had a serious brain tumor that required intensive radiation and chemotherapy. But the patient was 2 years old, and doctors were worried that such an aggressive treatment would cause problems down the road. 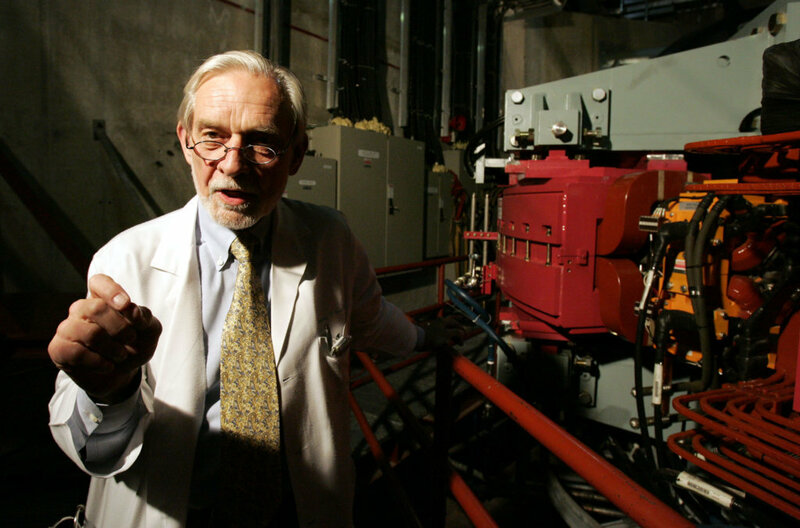 In the end, they used proton therapy. “It’s now been seven years since I treated her and she’s a very gregarious 10-year-old. She’s in school; has no cognitive problems whatsoever,” Ladra said. On Thursday, Oct. 11, the Young Professionals Board of Sibley Memorial Hospital will host its Sibley Soiree to benefit Sibley’s pediatric radiation oncology. Proceeds benefit assistance to families of pediatric patients, including help with transportation to-and-from treatment, meal assistance and medication. For information and tickets, visit the event’s website.